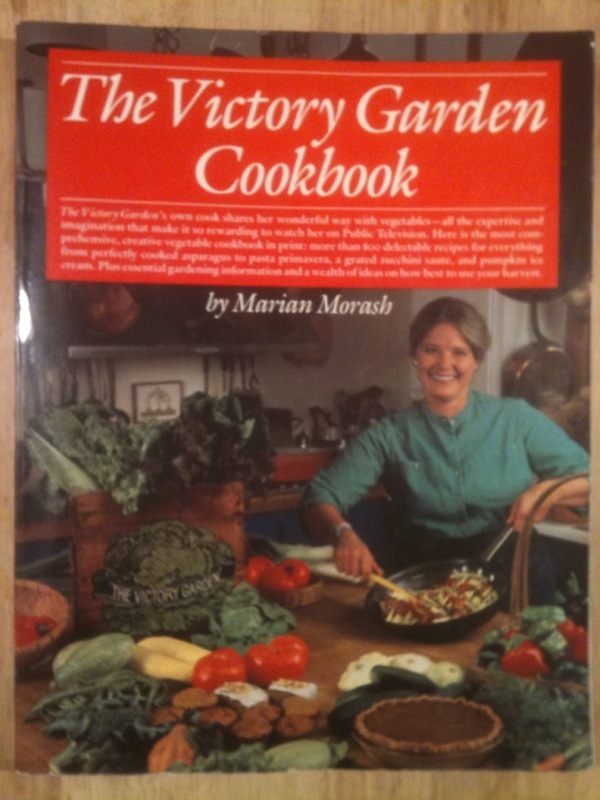 by Marian Morash, Knopf, 1982. Very popular. Heavy, oversized trade paperback, 373 pages. Spinoff of the successful WGBH TV series. More than 800 enticing recipes, plus basic gardening information; vegetables as a main course (including recipes that use meat, fish and poultry; vegetables as side dishes, plus soups appetizers, salads, vegetable pies, cakes, breads, etc. We usually find this book in "hands-on used" VG condition, but this one has survived in better shape than most. Other than slightly splayed out bottom pages and a few corner bumps, VG+.